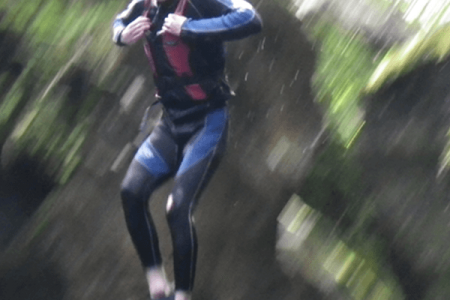 Why not enjoy some of the best canyoning action in Northern Europe on your Hen Party in Scotland? Our deep Scottish canyons provide the ideal playing ground for those seeking an adrenaline alternative to their weekend away in Scotland. It’s fun, it’s serious, it’s wet. A perfect activity for the thrill-seeking hen party groups. “We had a great time Canyoning with Great Away Days. We went Canyoning on the Friday and then done a Mini Highland Games in Perth on the Saturday. Both activities were brilliant fun! What a weekend we had and we can't thank the instructors and organisers enough!" 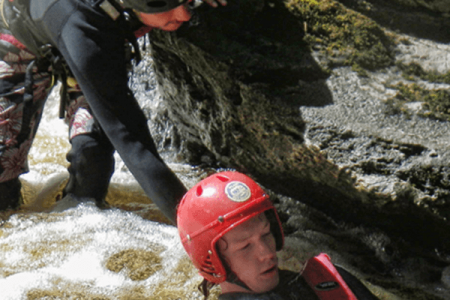 “We had a top time Canyoning with Great Away Days! Was such an adrenaline rush and the setting was absolutely beautiful. Great Away Days even arranged a coach to collect us and drop us off so everything was taken care of!" What's included: Helmet, Wetsuit, Instructor, £10 Million Public Liability.